When aspiring journalist Penny returns to her hometown, she is there to write her journalistic piece for Northwestern. But then her dad goes missing and the townspeople give eerily similar answers to her questions. Meanwhile, townsfolk are turning up dead and smoked to a crisp. Her friend suggests it was aliens, but Penny is a realist. So it can’t be, right? A great read for those who like intriguing mysteries and a little bit of fright. If you enjoyed Stranger Things, this book is for you! Stranger Things meets Men in Black in this funny and eerie young adult novel. WHAT’S GOING ON IN BONE LAKE? THE TRUTH WILL SURPRISE YOU. 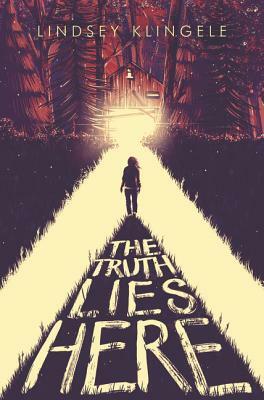 In small town Michigan, Penny Hardjoy, an aspiring journalist, teams up with the nerdy boy next door and the town’s star quarterback to find her conspiracy theorist father after he goes missing and several other people turn up dead in the woods. The deeper she digs, the weirder things start to get. Townspeople repeat the same phrases—verbatim. Men in black suits stroll around Main Street. Chunks of Penny's memory go missing. Pretty soon, her research leads her to the long-ago meteorite crash in Bone Lake’s woods, and she’s going to have to reconsider her definition of “real” if she wants answers. . . .